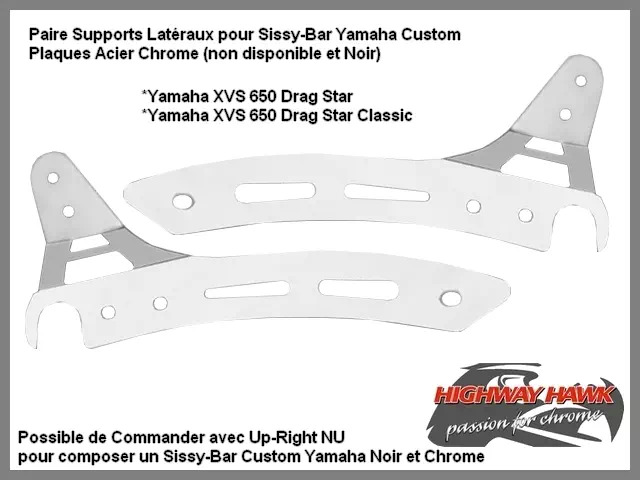 Sissy-Bar Wide Moto Custom Yamaha XVS 650 Drag Star et Classic Highway-Hawk Acier Chrome avec Dossier Passager Noir. 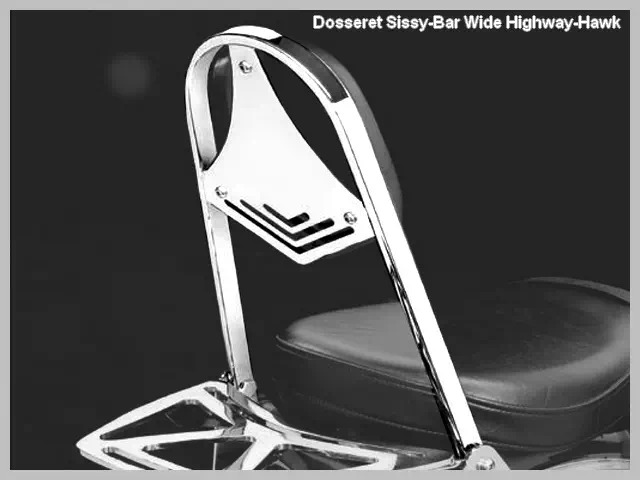 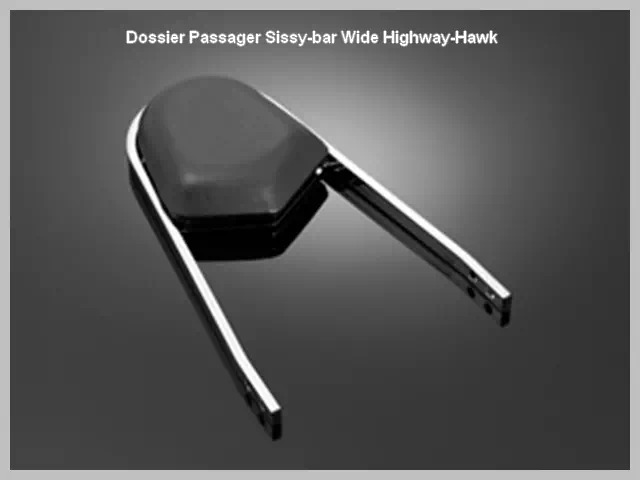 Dosseret Passager Large (Wide) pour Moto Japonaise Yamaha XVS 650 Drag Star et Classic. 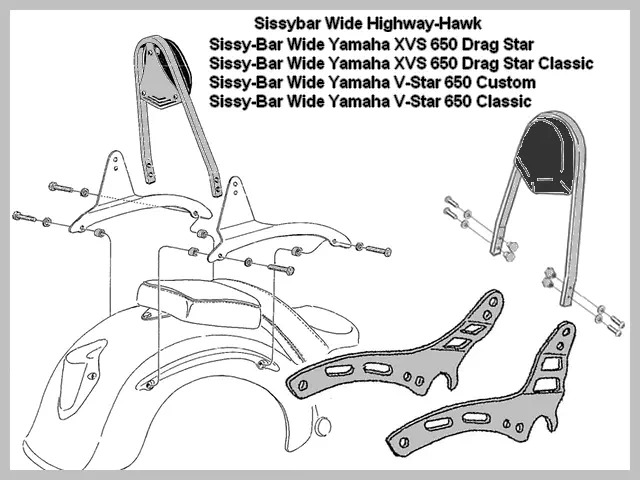 Affectations Vérifiées* : Yamaha XVS 650 Drag Star -2003, Yamaha XVS 650 Drag Star 2004-up, Yamaha XVS 650 Drag Star Classic -2003, Yamaha XVS 650 Drag Star Classic 2004-up, Yamaha V-Star 650 Custom -2003, Yamaha V-Star 650 Custom 2004-up, Yamaha V-Star 650 Classic -2003, Yamaha V-Star 650 Classic 2004-up. 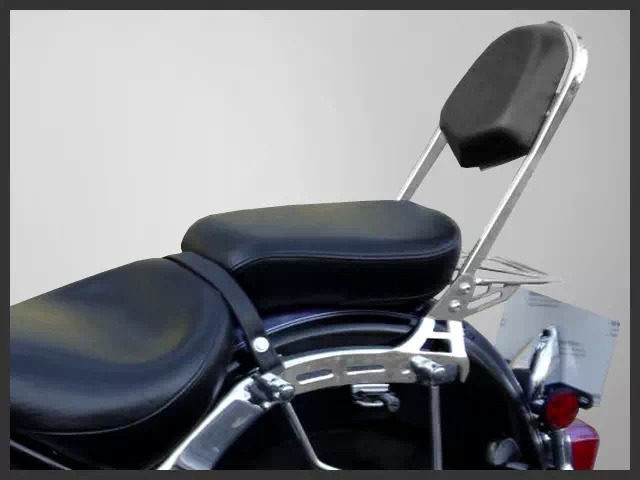 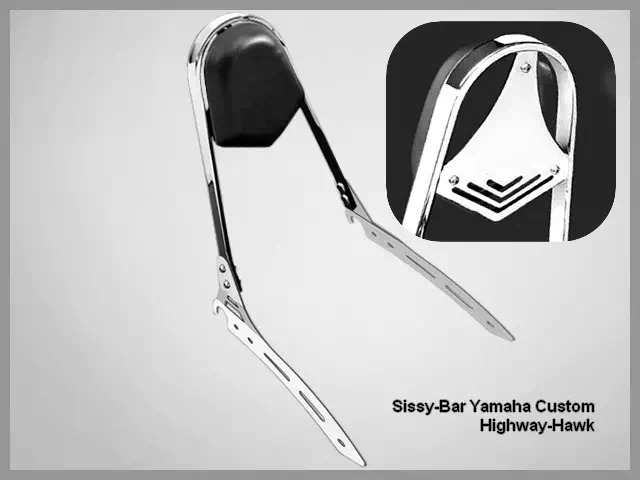 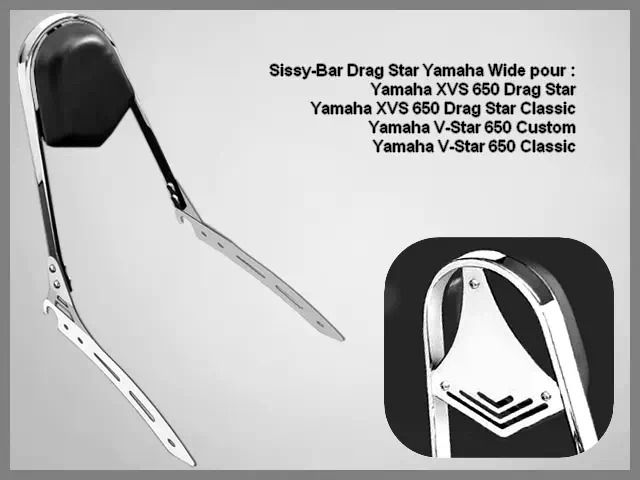 Sissy-Bar Wide pour Moto Custom Japonaise Yamaha XVS 650 Drag Star et Classic. 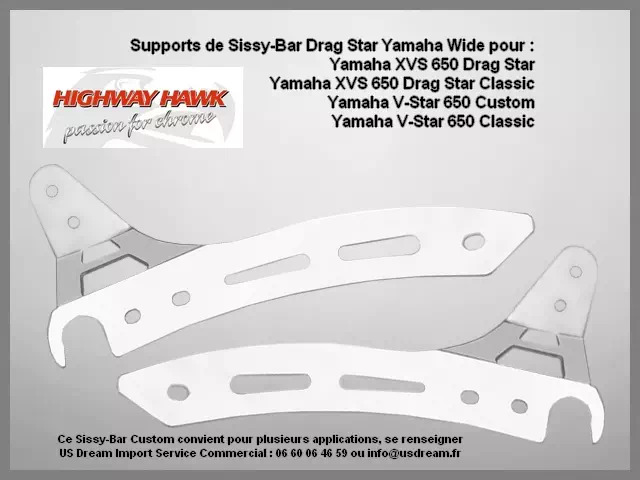 Sissy-Bar Wide Moto Custom Yamaha XVS 650 Drag Star et XVS 650 Drag Star Classic Highway-Hawk Acier Chrome avec Dossier Passager Noir. 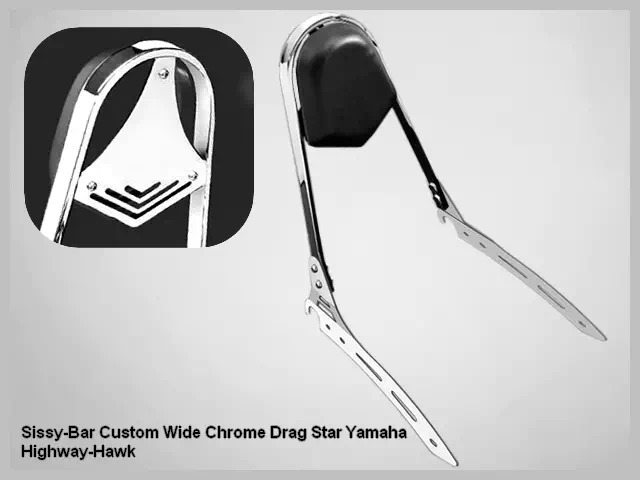 Yamaha XVS 650 Drag Star -2003, Yamaha XVS 650 Drag Star 2004-up, Yamaha XVS 650 Drag Star Classic -2003, Yamaha XVS 650 Drag Star Classic 2004-up, Yamaha V-Star 650 Custom -2003, Yamaha V-Star 650 Custom 2004-up, Yamaha V-Star 650 Classic -2003, Yamaha V-Star 650 Classic 2004-up. 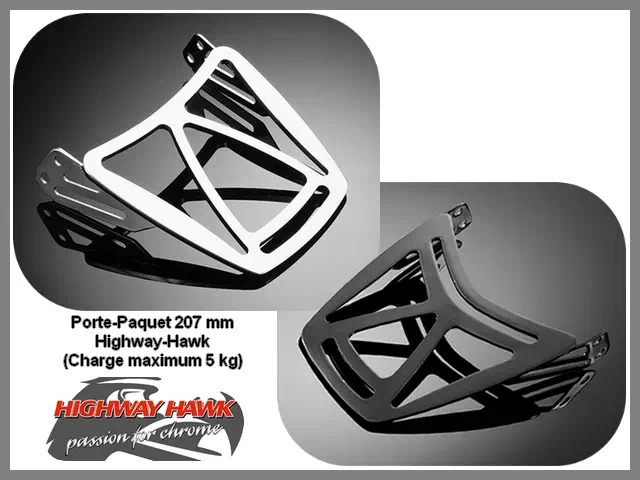 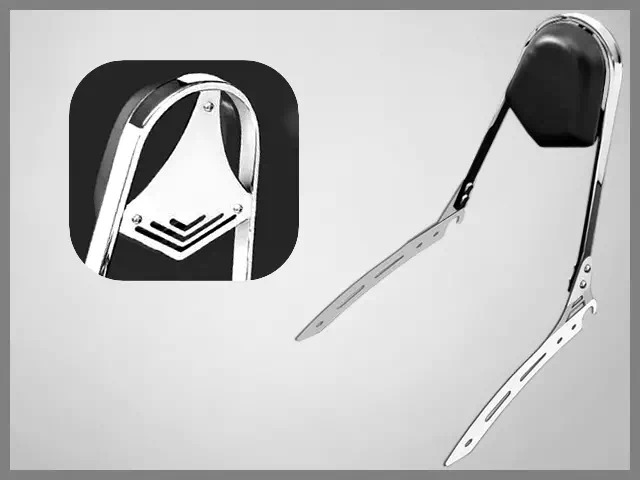 Porte-Bagage 207 mm Chrome ou Noir en Option. 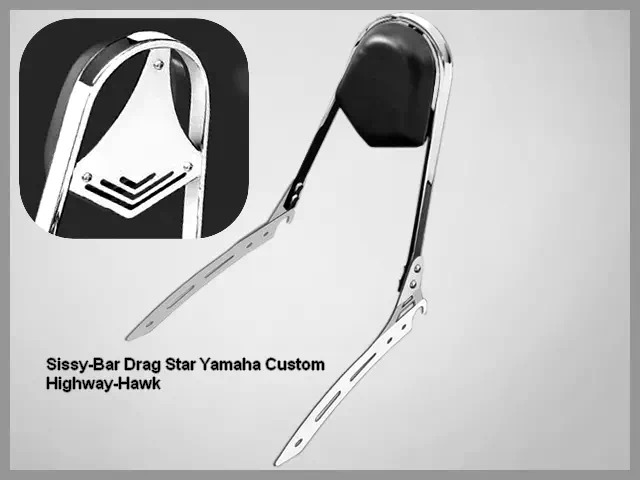 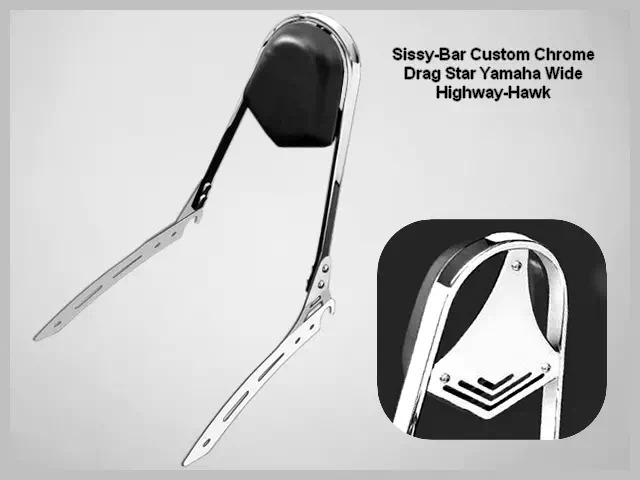 Osez le look "Low Rider Biker Choice" avec ce Dossier Passager Wide pour Yamaha XVS 650 Drag Star et Classic. 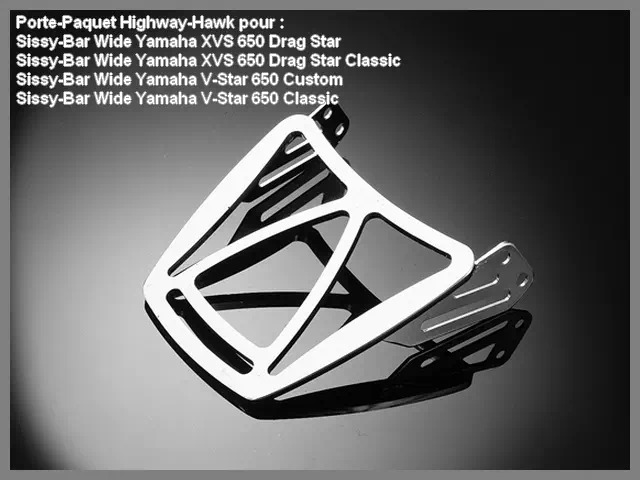 Sur Affectations Vérifiées : Yamaha XVS 650 Drag Star -2003, Yamaha XVS 650 Drag Star 2004-up, Yamaha XVS 650 Drag Star Classic -2003, Yamaha XVS 650 Drag Star Classic 2004-up, Yamaha V-Star 650 Custom -2003, Yamaha V-Star 650 Custom 2004-up, Yamaha V-Star 650 Classic -2003, Yamaha V-Star 650 Classic 2004-up ou Montage Libre sur un Autre Custom.